Contact us to register for next training in USA and Canada. 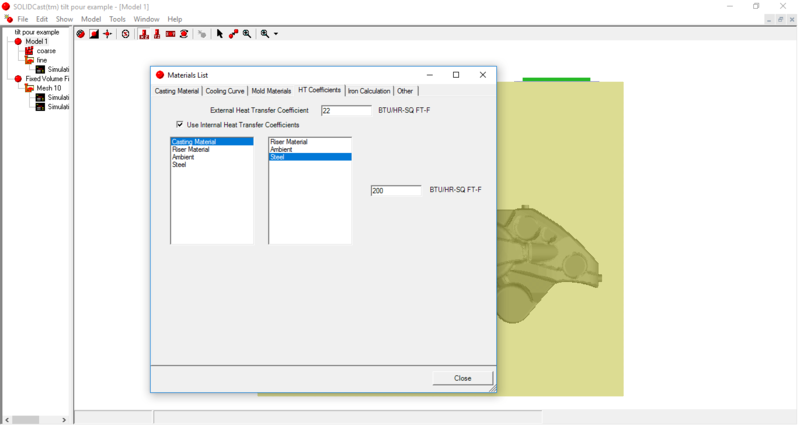 The fixed volume function in FLOWCast version 8.5.0++ is simple to use and allows an accurate prediction of how your casting will fill as the mold tilts. Another important consideration are the process parameters you’ll use in order to simulate the warm-up of the permanent mold. You want to reach the steady state temperature profile in the steel mold so you simulate your real production conditions. Typically, we simulate warm-up mesh cycles to reach this steady state. So apart of cooling channels you’ll add to your model in SOLIDCast, you’ll set the appropriate internal heat transfer coefficients between surfaces. We differentiate riser material from casting material to account for a different thickness of die coating on these surfaces of the steel mold, which can be used to impact heat transfer coefficient value ( figure 1). Figure 1 : Internal heat coefficient setup in SOLIDCast for permanent mold. Other than simulation, your aluminum melt quality is critical for improved mechanical properties the first time. For instance, how do you control the filling of the pouring cup clamped to your tilting permanent mold ( green in the video above ) ? By having a beautiful, clean melt in the cup and a non-turbulent filling system, you will most likely observe a significant improvement ultimate strength. 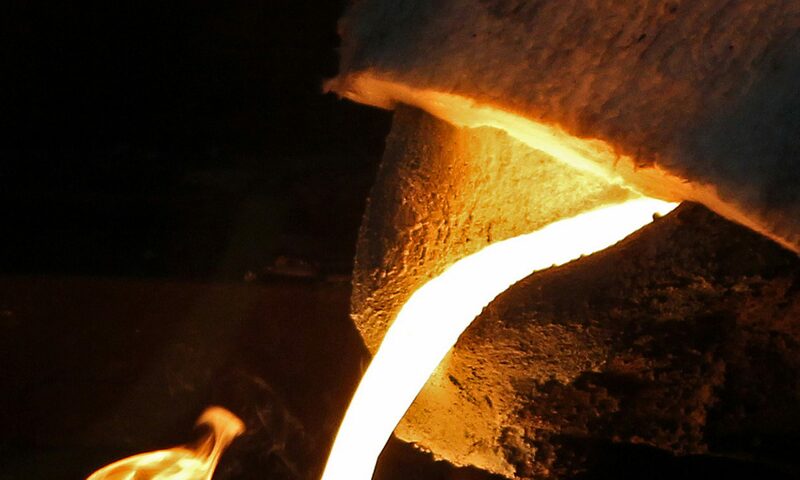 By explaining the metallurgical reasons to your operator, he will be happy to cooperate with you to be more careful on how he fills the pouring cup before tilting. Even if you have a robot doing the job, there are cost-effective actions you can implant for a higher, more consistent casting quality. This simulation of the tilt pour casting process shows potential regions of trapped surface oxides and entrained air through the filling process. Previous PostPrevious Which green sand properties should you control per molding equipment?